Kiwifruit—or kiwi for short—is an edible berry, with fuzzy, brown skin and bright green pulp, seeds and a white “core” inside. Kiwis grow on a woody, twining vine or climbing shrub that can reach a height of 30 feet. While kiwi often grows best outside of the United States, the California Kiwifruit Commission reports that California produces 98 percent of the kiwifruit in the U.S., with “less than 300 growers farming around 13 acres each” of the fruit. California's kiwifruit season runs from November through May, though you can often find it year-round in stores. 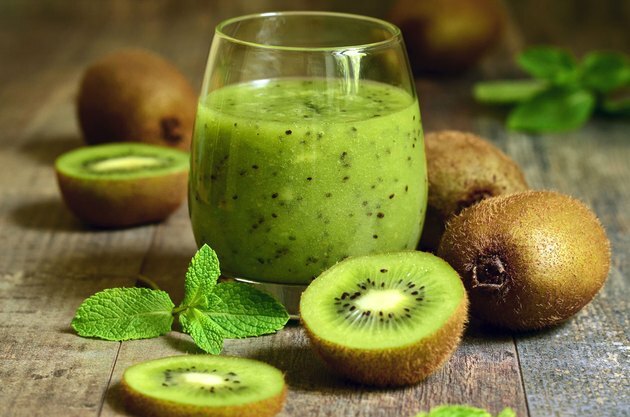 In addition to vitamin C, kiwi is high in fiber and Marek notes that this can help control blood sugars, lower cholesterol and aid in weight loss. Surprisingly, it’s a great fruit to eat post-workout in terms of recovery—even more so than a banana, which has less potassium—to maintain fluids and electrolytes. Other nutrients found in the fruit include magnesium, vitamin E, folate and zinc. 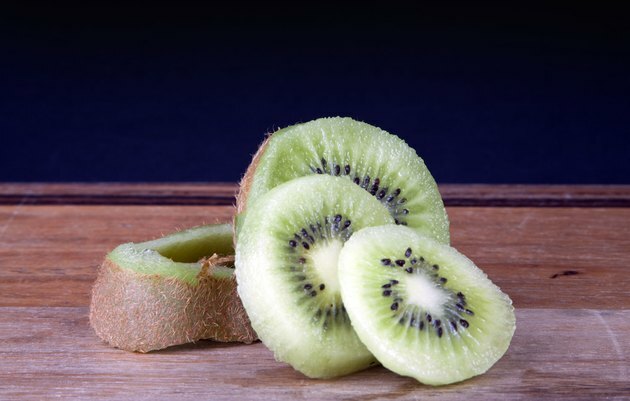 In addition to using kiwi to aid in exercise recovery, a study in the U.S. National Library of Medicine from the National Institutes of Health found that kiwifruit may be useful for adults who have trouble sleeping. Additionally, a report in the Journal of Human Hypertension suggests that kiwifruit can help lower blood pressure in adults. Even though kiwi season is only seven months long, you’re likely to find the fruit in the grocery store or at a farmer’s market year-round and there are some things to know when choosing a kiwi to make sure it is ripe enough to eat. 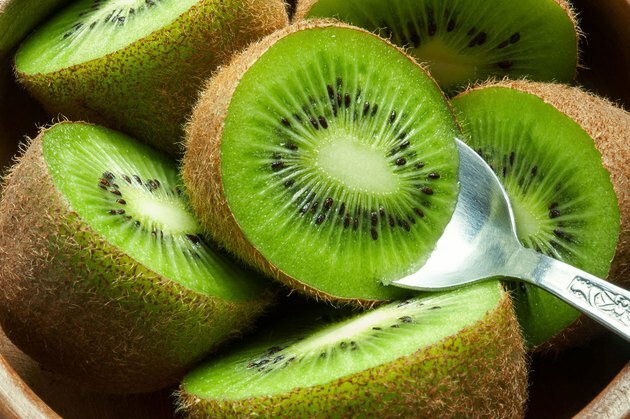 Eating the skin makes consuming kiwi less messy because it holds the flesh together as you snack on the fruit. However, you should wash a kiwi before consuming it with the skin on, just like you would wash an apple or peach. Marek recommends slicing kiwis onto a salad or blending them into a smoothie. You can try this recipe from Marek for kiwi salsa below, and enjoy it with chips or on a seafood taco. Directions**:** Mix all ingredients in a bowl and cover. Let rest for one hour at room temperature. Refrigerate until ready to serve. Ashley Lauretta is a freelance writer and fitness enthusiast based in Austin, Texas. Her writing appears in Women's Running, Women's Adventure, Competitor and more. Ashley is a proud alumna of the University of California, San Diego. Connect with Ashley on her website and Twitter. Morton, J. 1987. Kiwifruit. p. 293–300. In: Fruits of warm climates. Julia F. Morton, Miami, FL.